You thought the NSA was the only entity which knew exactly where you were and what you were up to? Think again. 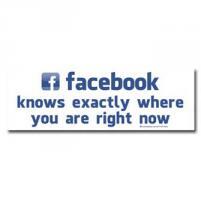 Every time you see a Facebook like button Facebook gets informed of your location and going ons. Facebook even has a larger budget for invading your privacy than the NSA. Use Firefox? Get the Privacy Badger from the EFF and limit this excessive invasion of your privacy.